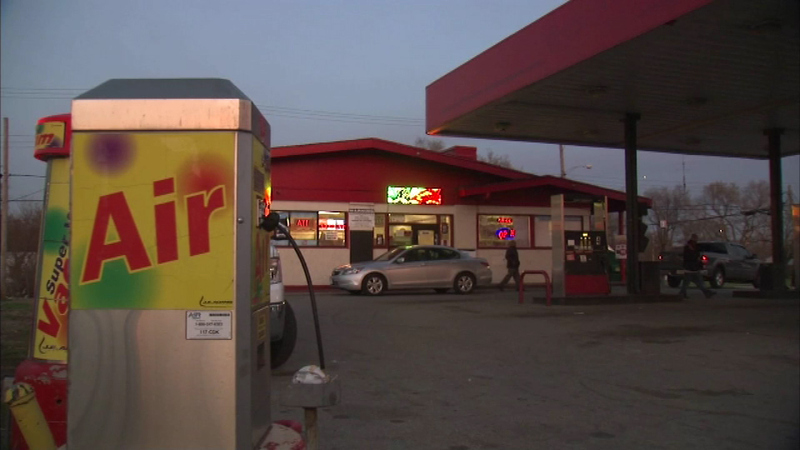 Police are investigating the shooting death of a Calumet Park man at a gas station in Gary. GARY, Ind. (WLS) -- Police are investigating the shooting death of a Calumet Park man at a gas station in Gary. The shooting happened just before 11 p.m. Sunday night at the gas station on Broadway. Police found Donald Fuzell, 21, dead at the scene. They say surveillance video shows two men approaching Fuzell's car and trying to open the door. His father says this all started with an attempted carjacking. "He was coming back to his car and he got carjacked, because he was going into a gas station and they carjacked him when he got back out and they were already in the car when he got in and they shot him like six times," said Donald Fuzell Sr., victim's father. Police have not made any arrests or identified any suspects.